A few weeks ago I had the pleasure of traveling to Seattle as part of the Office Champions program. The Champions Summit wasâ€¦incredible. My brain seems to be bursting with great thoughts and ideas after everything I saw. It inspired me to write more about how I use technology in the coming year. And how I introduce technology to my clients so that they can better use it. What can I say, this was a complete GEEK trip! Capture it all.Â Capture your screen with the share charm and capture documents, magazines and whiteboards with camera scan. Browse and find your notes easier than ever. Search for text in scanned documents using Optical Character Recognition and find your notes faster than ever before with recent notes and page previews. Annotate and take your own notes on the things youâ€™ve captured. Write better with ink and see your notes in full screen! To learn more about everything this update has to offer check out theÂ OneNote blogÂ or these videos (OneNote Windows Store App,Â Reorganize/Search with OneNoteÂ and Document/Whiteboard Scanning). You can also go to theÂ Windows 8 storeÂ and download the OneNote Windows store app for free. One thing I didnâ€™t like was the torture. I got tortured, yâ€™all! How did they torture me, you might ask? 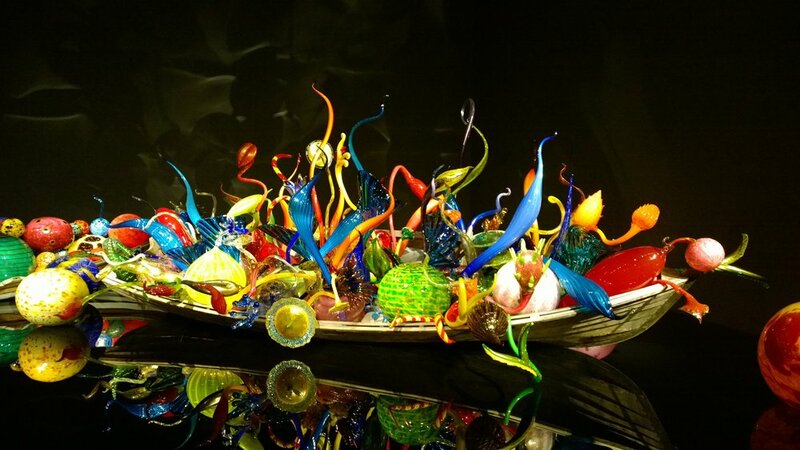 I mean no, the fabulous visit to the Chihuly Garden and Glass MuseumÂ wasnâ€™t it. Neither was the trip to the Space Needle that had me feeling as if I looked over, the needle would surely bend that way. Cuz Iâ€™m powerful like that. No. They gave me aÂ Nokia Lumia 1020,Â that I got to play with and then had to GIVE BACK! I am still suffering from PTSD (Phone Traumatic Stress Disorder). Here are some awesome pics I took with the 40 MP camera! It was lovely. It was also great to have all of my documents in the same place. I was able to go through some Word documents and of course, add to my OneNote musings. The next day found me on the Microsoft Campus. Wow! I saw so many awesome/geeky/beautiful things. And Iâ€™m afraid to tell you about them. Because I had to sign additional eggs in order to see all of the fabulousness. Iâ€™m under NDA for so much and itâ€™s painful: seeing the most awesomest stuff EVAH and then not being able to talk about it. The CIA should jump in on this form of torture. 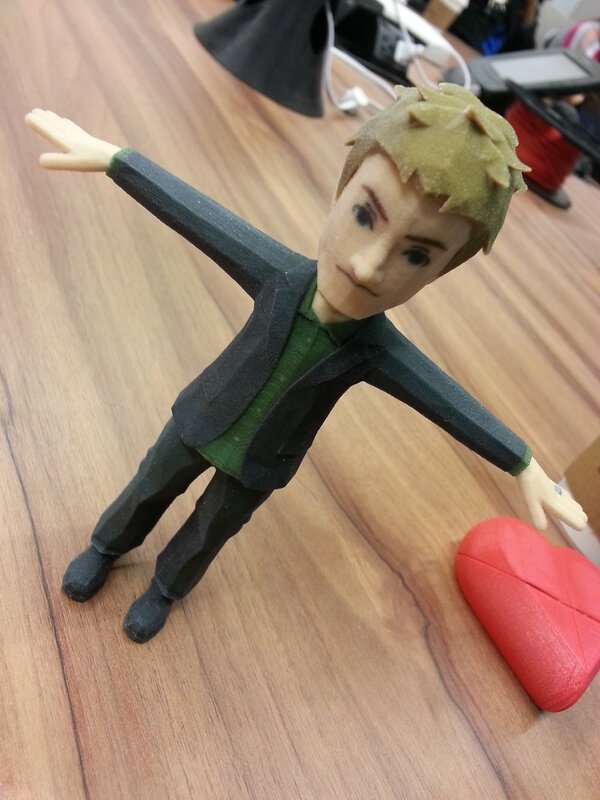 I did share these great 3D printings. If you head on over to your local Microsoft Store, chances are you will see one in action. I have dreams of making gifts with my 3D printer (that I donâ€™t yet own). The piece the resistance? We visited the Microsoft Envisioning Center. Hereâ€™s what I can tell you about it: itâ€™s a hands-on experience with the future of business and leisure â€” and also serves as a laboratory for the companyâ€™s engineering teams. I can also tell you that I ovulated about 3 times during the first 15 minutes and Kristin can vouch for me as she was the recipient of my punches (which happens when I see awesome things, usually followed by â€œshut. Up!â€ and ovulation). In order for me to not get hauled off to techy jail, I will share this safe video with you. And donâ€™t get me started on those Bing Webmaster tools I learned about. That might have to be a separate blog all on its own for my fellow social media folks. Awesomesauce! This trip meant so much to me. Well over 2 years ago I had my first chat with the Microsoft Office and Windows teams and I decided then that I would be part of whatever they had going on. This was a culmination of a teeny tiny dream that I shared with very few folks. The icing on the cake is how these products help me get my work done and how in the near future, I will be helping my clients do the same with some pretty amazing tools. I hope you will hang in there with me and come along on this journey. I assure you that you will learn something new and hopefully I will infect you with a little of this excitement I am feeling. Disclosure: I am a Microsoft Office Champion (woohoo). All flight and accommodations as well as torture mechanisms were handled by Microsoft.